Camelbeach is the Camelback Mountain ski resort’s summer attraction and even on a grey day, when no amount of will-power could get the mercury above the mid-60s, Camelbeach proved to be fun, lively and family-friendly with plenty of activities that kept us moving instead of shivering! After checking in with the friendly staff at The Chateau Resort, we made a quick tour of the property. It wasn’t open at our first visit, but we did make it to Aquatopia, which stretches to over 125,000 square-feet and is the centerpiece of a 450+ room hotel complete with four restaurants and ski-in-ski-out access. Read my review of a winter weekend getaway to Camelback here. 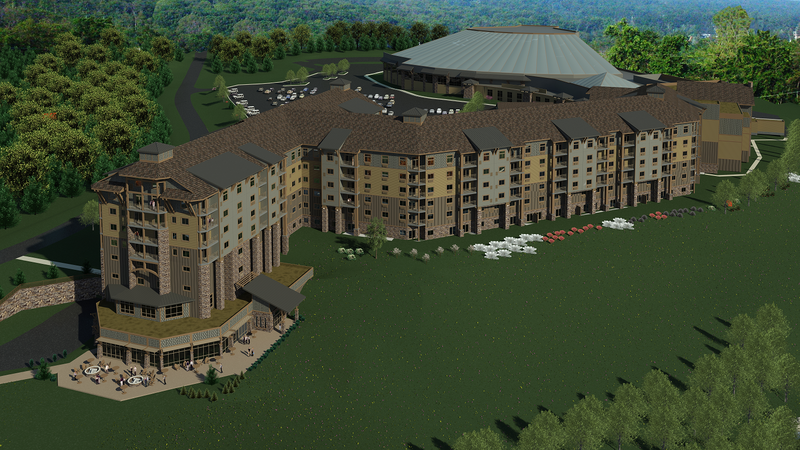 The location in Tannersville, Pennsylvania couldn’t be better, amidst the serene beauty of the Poconos mountains which provide a feeling of seclusion but also great accessibility to the local restaurants, outlet shops, breweries and the casino within the nearby towns, no further than a 15-minute drive away. While we couldn’t have been happier at our quaint Chateau Resort room overlooking the waterpark and a quiet pond, it is great to have another great new place to stay in these picturesque mountains. Changing out of our closed-toe shoes and into our flip flops, we headed to Camelbeach where we were led to a pool-side cabana right in the heart of the Pharoah’s Phortress, the great attraction focused on younger kids (toddler-12 years old) complete with slides, bridges, interactive water sprayers and stairs, all well within eyesight of the cabanas where parents can keep a close eye. Best yet, they are attended to by numerous lifeguards who ensure everyone’s safety. We got our toes wet exploring this section and then reported back to the cabana for a lunch of hamburgers, soft drinks and chips that were all brought straight to our cabana by the incredibly friendly and helpful staff who consistently checked in on us throughout the day and were quick to respond to any needs. We also enjoyed some fruit from the basket that was waiting for us at the cabana upon our arrival. After lunch we were restless to check out the rest of the park and couldn’t wait the mom-recommended “30 minutes after eating” to head over to the bigger slides. We stored our valuables in the complimentary locker that came with the cabana and headed over to the rest of the waterpark. For a couple hours we delighted in the adrenaline-pumping slides, relaxing wave pool and numerous other attractions that spread across the park. There were slides that ranged from fast one-person mat slides to ones that a family of four could enjoy aboard a large four-seater float. While we were too busy checking out all the slides (and keeping warm in the 78 degree water), there were abundant beach chairs throughout each section of the park where parents or those just looking for a break from the fun could enjoy some down time. There were also several places to eat, drink and get ice cream that were centrally located and offered a good variety of snacks to choose from. After slipping, sliding and screaming (in joy) throughout the park, we’d worked off our burgers and were ready for another meal by the time the park closed. An easy 10-minute drive from the hotel, we pulled into Desaki Hibachi Restaurant and first noticed a large rickshaw parked in front. The restaurant owner later explained that the rickshaw is loaded up with several children and toted around the field adjacent to the parking lot to keep kids entertained when there’s a wait for tables. Fortunately, there was no wait for us since the height of the summer season was still a couple weeks away so we proceeded into the spacious, yet welcoming, restaurant that boasts a multi-level dining room and event space. The food was truly exceptional, the sushi platter that arrived as an appetizer included some of the most tasty and creative sushi we’d ever tried, so good that we even had a non-sushi-eater going back for seconds! The main course, and main event, was the hibachi which came with a great show that included flying food (our table was very good at catching shrimp in our mouths as it turned out), fire tricks and, of course, some awesome grilling that produced perfectly-cooked steak, scallops, vegetables, rice and noodles that amounted to huge portions that were great for sharing. Undoubtedly, this is a kids’ dining paradise. The constant entertainment, kid-friendly flavors and amusing staff who were quick to take pictures and engage with diners made this an event in itself and perfect end to a fun-filled day. Even after such a busy day, we woke up bright and early the next morning and decided we needed to check out one last attraction before heading for home. We headed over to Camelback Mountain Adventures center, right next door to Camelbeach, and caught a shuttle to the top of the mountain to check out the zip-flyer. This 4,000-foot-long zipline stretches down the side of the mountain and, while the initial decent looks a little scary as you get strapped into the seat, the 70-second ride is total fun. Soaring over Camelbeach, with the Chateau Resort also within sight, it was a great moment to reflect on all the adventure from the day before. 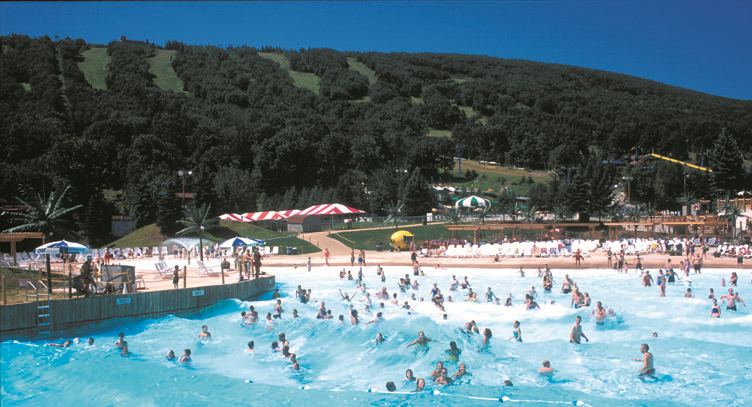 Overall, Camelbeach and the other local businesses nearby make the Poconos a sure-hit for all ages. 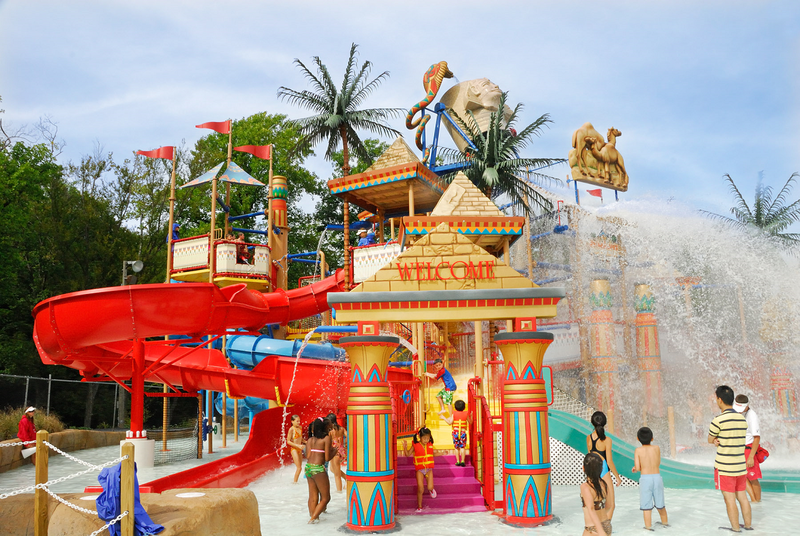 With endless fun and entertainment for kids, there’s also plenty of parent-focused amenities and friendly staff around each corner to provide a seamless and enjoyable trip for all. 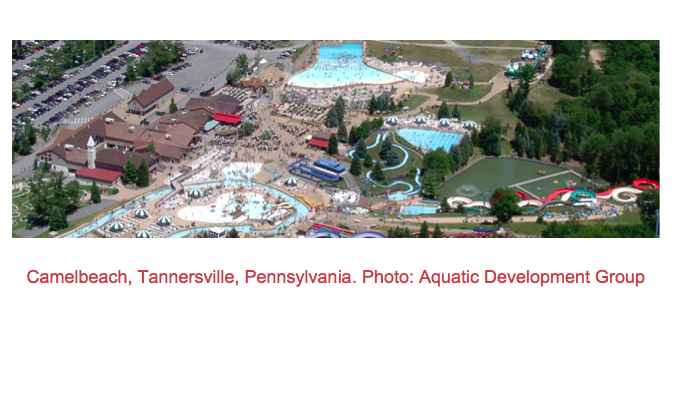 The current Camelbeach Mountain Waterpark and the new indoor Aquatopia are located at 1 Camelback Rd., Tannersville, PA 18372. Please check their website for special savings, hotel and park pass discounts, and early season ski season pass rates – all good value. I’m in, would love to win a stay at the Camelback water park in Pennsylvania. Close to my NJ home and sounds like a fun snowy or rainy day break with my boys. Sign me up!